Bat Removal Experts |Bats That's All We Do! Bat Droppings. How do they look like & are they dangerous? Bat Removal of Century old Home. Bat Droppings in a Farm House. We will come and bat proof your house while answering any further questions you may have. Bat proofing your home in most cases will be completed the same day. Congratulations!!! You are the owner of a bat free home. We will come back a second time to inspect the property and give you our lifetime written warranty. "Not only would the competition not take on our job, they referred us to Bats Canada"
Bat Removal – Do your research it will save you money! Bat removal with one-way vents. Special thanks to Kyle for sending us this video! 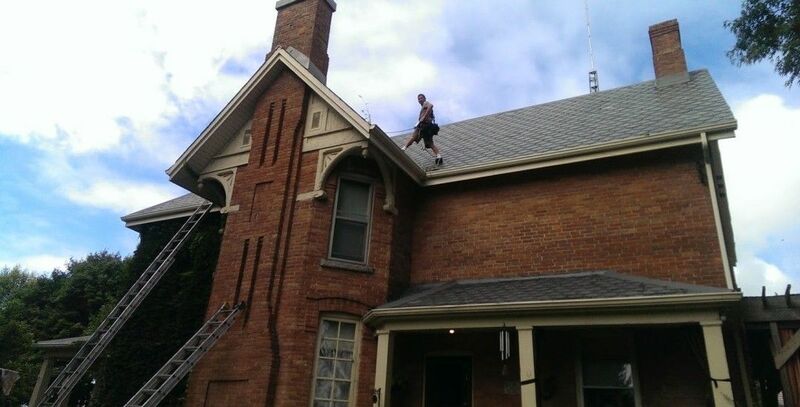 To remove the bats from your home, you first have to identify the points which they are currently using. People often see one entry point and they immediately assume that this is the only point of entry. Unfortunately for the majority of the homeowners, this is not the case. On average a home will have 2-3 entry points and cases of 6-7 entry points are not uncommon. With the entry points being identified, the rest of the building has to be sealed up to prevent the bats from re-entering the house. After the sealing is completed the one–way exit vents will have to be placed at the current entry points. Even though the above process might sound simple and straight forward, it is one of the hardest things to be done correctly. The number one reason, why homeowners pay twice or even three times over is because they hire wildlife companies which they don’t know how to properly seal the building up. If you want more information on what to look for just head to our How to get rid of bats page. 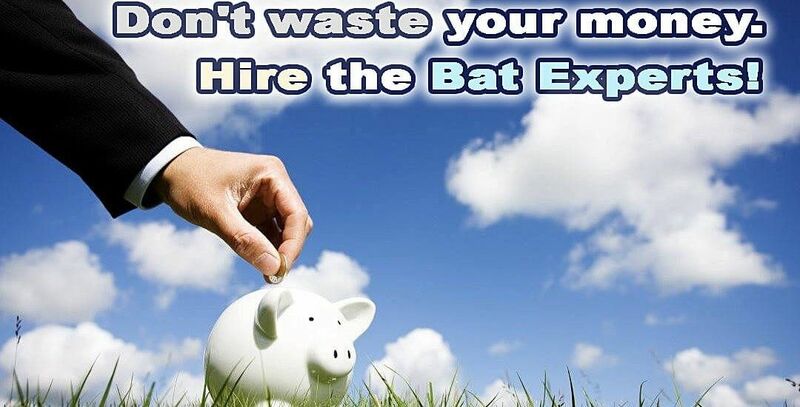 Hire the Bat Experts – Do it right the first time. Bats are the most difficult animals to keep out of your home. Removing bats is a specialized work and it needs to be left to the experts. The majority of our clients have either: Been ripped off by wildlife companies and lost hundreds if not thousands of dollars or have been sold a house with a bat problem where the previous owners “forgot” to mention. Bat removal is a highly specialized job. In the majority of the cases, homes require small repairs and modifications. We have people who are ex-roofers and ex-soffit-facia installers who understand how a building is put together and can repair it properly. Wildlife companies just use metal mesh and foam your house to death. A process that doesn't last long and makes your home look terrible. Why risk throwing your money away with a wildlife company that does a little bit of everything. Call us and have the peace of mind that your problem will be dealt with by the best in the industry. Wildlife companies are the Jack of all trades and not specialists. You wouldn’t allow your family doctor to perform a surgery instead of a surgeon… then why let a wildlife company perform the work of a specialist. If you want to see the bad quality of work these companies do just head to our Jobs Gone Wrong page. What sets us apart from the “competition” – Never pay twice for Bat Removal. 1. We are the longest standing company specializing in bat removal in Ontario (19years) and nothing else. 2. We were the first to introduce the 5 year warranty in Ontario. 3. We are the ones who fix the mess after the other companies have tried and failed. 4. We have 100% success rate. 5. Contrary to most wildlife companies, we stand by our warranty (just read our reviews). 6. Contrary to most wildlife companies we will never scare or misinform people with a bat problem. And above all we are a company obsessed with customer satisfaction and not just doing the job! Kenny Charboneau has been a contractor for his entire life. After having a successful decade operating his own roofing company “Supreme Roofing”, he decided to establish Bats Canada. 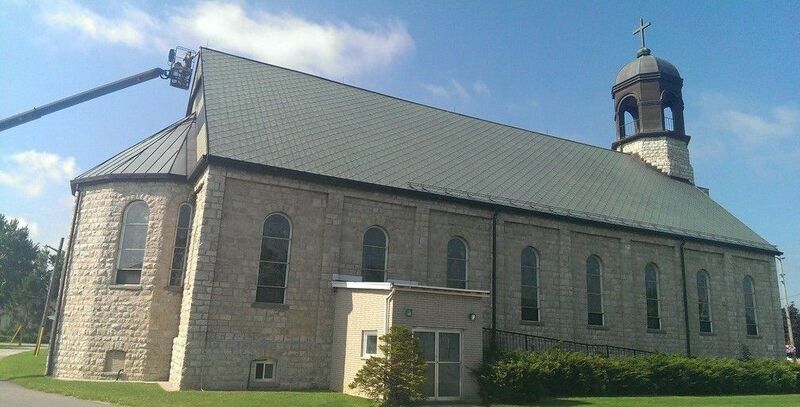 Bats Canada is the longest standing company in Ontario that specializes exclusively on the removal of bats. 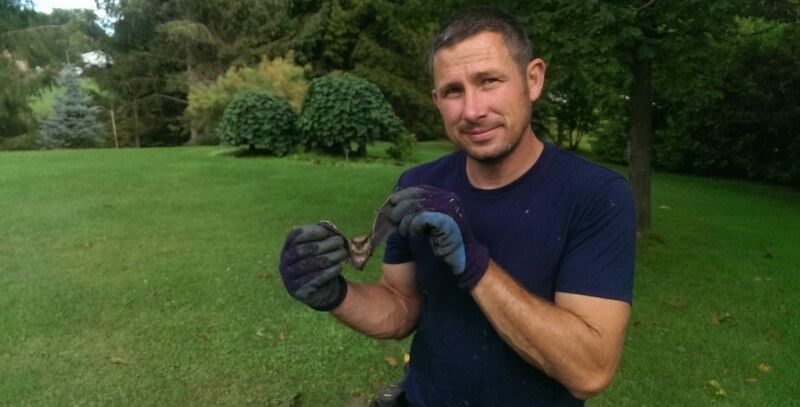 With over 15 years of experience in bat control and 2 HGTV episodes, Kenny and his team have seen and done them all. Having bat-proofed bungalows to churches, there is no building that cannot be fixed. Bat Droppings can be found in the attic or around the house where bats either tend to roost or enter the house. If you see bat droppings in your attic then you definitely have a bat problem and your require a bat removal. If you find them around your property then it is not exactly certain if they are using your building or just roosting there. For more information please visit our page Bat Droppings. This is the most obvious way to see that you have a bat problem. 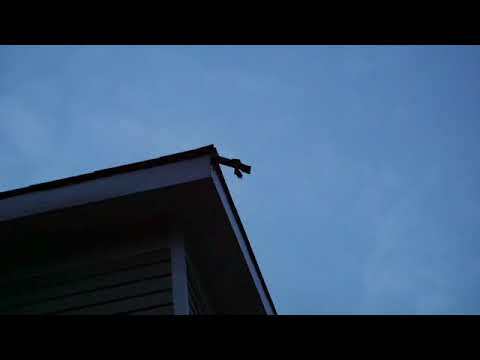 If you can see bats leaving your home at dusk, that means you have a bat infestation. Bats will typically leave the home at dusk to feed and stay in your home during the course of the day. Bat entry holes have usually brown staining around them if they are heavily used and they are easy to identify even from the ground. If there’s an ammonia- like smell in your house especially during warm/hot days then you likely have bats. Bat guano is tends to build up over time where they’re roosting, and that can lead to an ammonia-like smell. 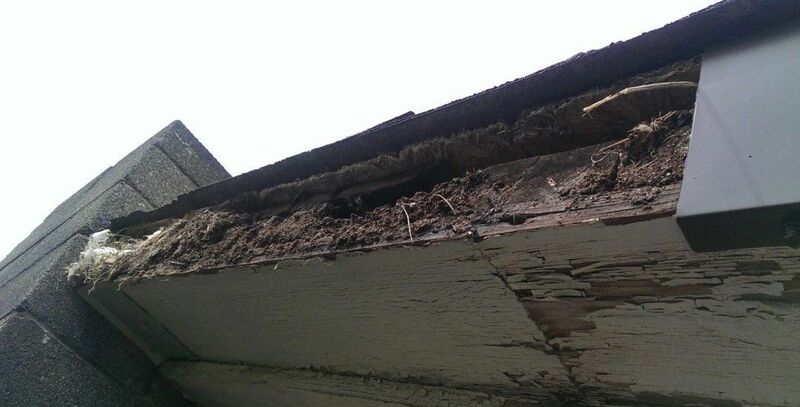 Unfortunately if you begin having a problem like this one, that means you had bats living in your house for a prolonged period of time and it is usually associated with costly damages to your home. 4.Had a bat during the winter. If you had a bat show up in your home then you definitely have a bat problem. Bats hibernate during the winter in your home and a few times in their hibernation they tend to wake. Chances are a bat got lost after it woke up. For more information please visit our page Winter Bats. Bat Removal and clean up should be left to the experts as in most cases not even wildlife companies have the knowledge or expertise to deal with bats. Bats Canada has over 17 years of experience on removing just bats from properties across Ontario. For more information on Bat Removal please visit our Ontario Bat Removal page. Just a word of caution for people who might want to try this by themselves: Never try to seal up your house without performing a Bat Removal beforehand. Copyright (c) 2017 www.batscanada.com All rights reserved.